It’s really fun to eat traditional French foods of the region you’re visiting. You can really begin to understand the culture from the inside out (your stomach). 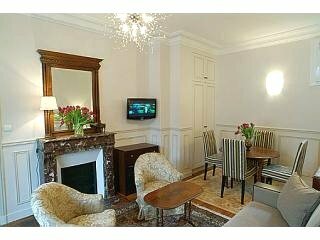 France is made up of many regions and each region has a distinct cultural heritage. Food in Paris with its many restaurants offers traditional French foods from all over France. 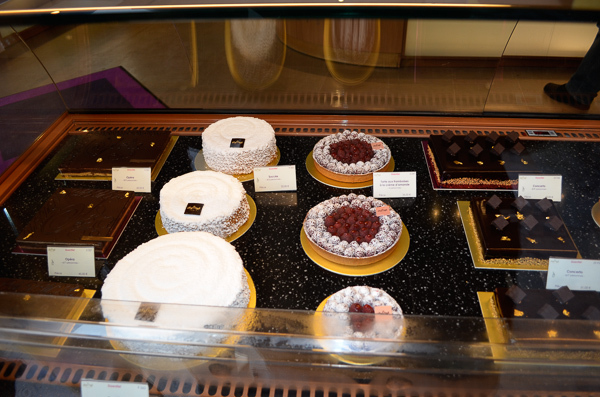 With France food in Paris you’ll find dishes that are a staple of fine French food and everyday French food. France’s temperate climate, the high quality of the food plus the skill of the French chef all contribute to delicious traditional French foods. Check out the other regions traditional France food. From Alsace Lorraine France sauerkraut to Brittany's crepes and much more. Let me add that it used to be that anywhere you ate the food was great. Nowadays it isn’t always that way. So when you travel keep that in mind. Bread (le pain) is a staple of French eating and bread is one of this region’s specialties. Paris has the finest pastry chefs and bakers of bread. Baguette (A long skinny loaf of bread with a crisp crust and soft but not too soft inside) After work Parisians line up at the boulanger/patissierie to buy their baguette. When I lived with a French family oh so many years ago, I was amazed that they bought a baguette every day and if it was left over they didn’t eat it. In relaxed French homes it’s put on the table and everyone tears (not cuts) a piece off for himself or herself. When in Paris you want the best shopping in Paris food shops (where the Parisians go). Éclairs, mille feuilles (napoléons), Saint-Honoré (a cake of puff pastry and whipped cream) for dessert and brioches, croissant for breakfast. With these French dessert recipes you can make famous French desserts at home . 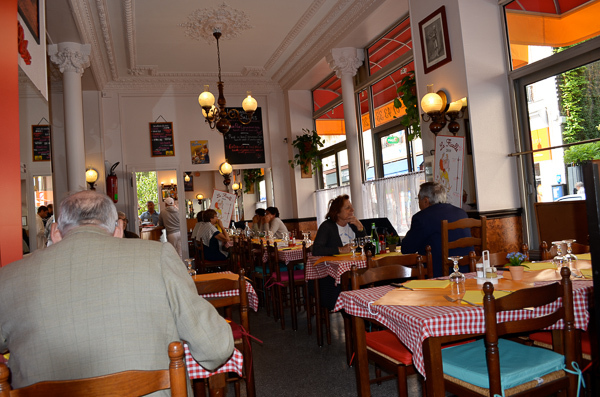 Food in Paris is served in fine restaurants, and bistros or cafés. One of the most important French Traditions is good fine food and wine. You can enjoy it in a fancy restaurant or a bistro or enjoy French food at home in your self-catered flat or rental apartment. The Soissons area is famous for growing potatoes. Experts have said that potatoes are the most eaten vegetable in France. Steak frites (steak w/ french fries) is a delicious popular french food dish available at bistros. Moutarde de Meaux: Outside Paris in the City of Meaux is the famous French Foods condiment maker of mustard. It’s been served at French tables since 1632. The French will use this mustard with Pot Au Feu, amoung other dishes. 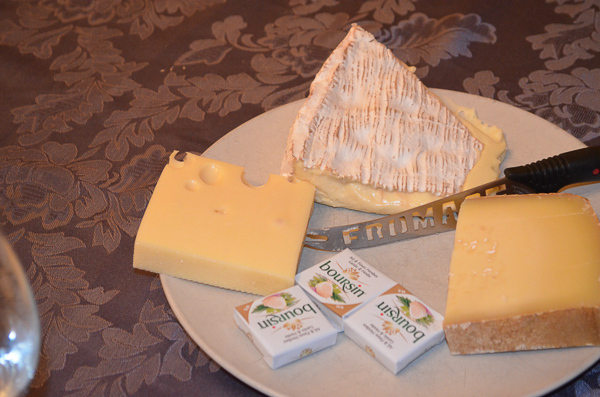 And last but not least is cheese, a popular French food and an important part of French food culture. For French food at home try our easy French recipes . Explore the French wine regions and sample the wine of France. Alsace wine region is a beautiful area to visit. 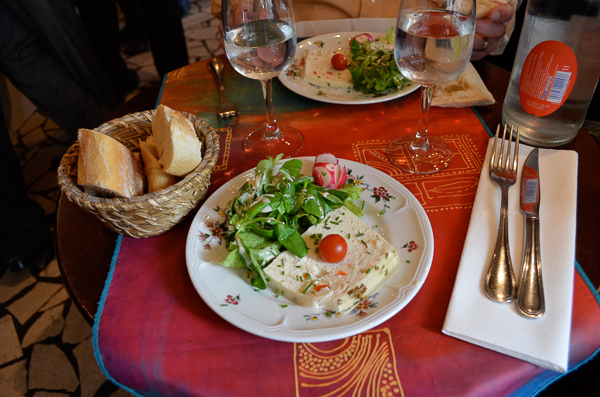 Read Robin’s take on food in Paris and see her great Paris food photos.